The 2018 TAB ‘Kiwis for the Cup’ - Sydney based trainer Chris Waller, Cambridge based Murray Baker and Waikato Jockey James McDonald have won nearly 170 of Australasia’s most prestigious races between them - but so far the greatest prize in racing - the Melbourne Cup - has eluded them. From small town New Zealand, Chris Waller is the rock star of Australian Racing and the genius behind the World’s greatest racehorse, Winx. He’s won three Cox Plates and been crowned the most successful trainer in New South Wales for eight seasons in a row. Based in Cambridge, Murray Baker is the New Zealand’s Cup king. He’s won a total 48 Australasian Group 1 races, including a Caulfield Cup with Mongolian Khan 2015, and a respectable second in the Melbourne Cup with The Phantom in 1989. Like Baker, at just 19 years of age, James McDonald also came within a whisper of the Cup on board the Gai Waterhouse trained Fiorente in the 2012. Now 26 he is among the greatest jockeys this country has produced, and with more than 34 of Australasia’s greatest races under his belt, McDonald is hot property on the Spring Carnival Scene. 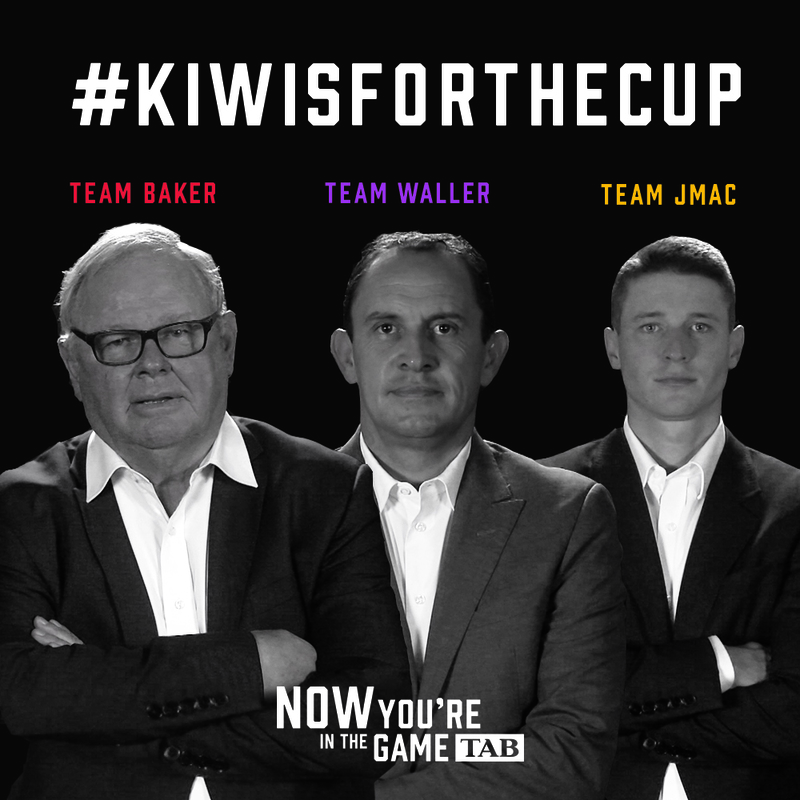 This group of proud Kiwi’s are the stars of the TAB’s 2018 Kiwis for the cup campaign. Get behind them as they take on the Aussies in the Caulfield Cup on Saturday 20 October, the Cox Plate on Saturday 27 October and the big one at Flemington on Tuesday 6 November. Melbourne Cup Day is the single biggest day on the TAB’s sporting calendar. Last year Kiwis bet $28.5 million during Melbourne Cup Season and $22.3 million on Melbourne Cup Day. More than a million bets were placed resulting in $10.2 million in turnover on the one race. Check out the new #kiwisforthecup campaign at www.tab.co.nz/kiwisforthecup.